Along with specializing in diagnosis, management, and surgery of ocular disorders, our doctors at Southern Idaho Ophthalmology are able to perform complete refractive eye exams to determine if glasses will help correct your vision. During your exam we will evaluate both your vision and the health of your eyes. This usually takes about a half hour to an hour. Our physicians will fine-tune your prescription manually to help you achieve crisp, clear vision. With your prescription in hand, you will be able to find the perfect pair of glasses at your store of choice. If you are interested in contact lenses, our staff is highly experienced in fitting and finding the right pair for you. Unlike glasses, contact lenses move with your eyes, allowing you to enjoy a larger field of vision. There are no frames hovering in your peripheral vision or external lenses that get scratched, smeared, or fog up. There are many different kinds of contacts, and we can walk you through the different options and answer any questions you have. To find the right prescription for you, we analyze several factors. Whether you have dry eyes, want to change your eye color, wear bifocals, or have astigmatism, we have choices for you. 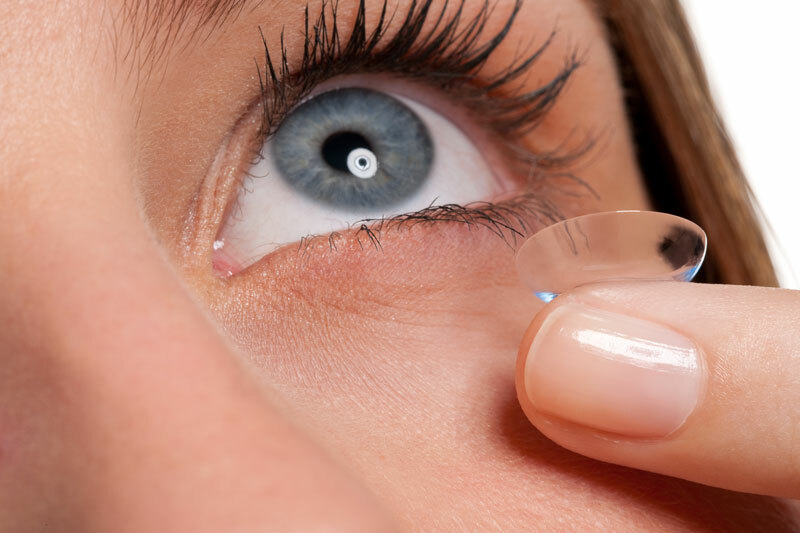 We can evaluate if rigid, soft, extended wear, daily disposables, colored, bifocal, or planned replacement contact lenses are right for you.